Frequently Asked Questions | Harassment by Debt Collectors | The Consumer Law Group, P.C. What actions can I take against a debt collector for harassment? If you owe money to a creditor and your debt has been turned over to a debt collector, you can be sure they are going to make every effort to contact you. They are within their rights to notify you that they are attempting to collect the debt and they can take you to court to sue for the money you owe. However, under the Fair Debt Collection Practices Act (FDCPA), there are limits to what they can do. If you feel that you are being unfairly harassed by a debt collector, you can take action to stop them and if they do not stop, you may be able to sue for damages. Before taking legal action, you should make every effort to settle the debt the collector is trying to collect. If you do truly owe the money you are being asked for, you can stop harassment before it starts by paying the money you owe or making a settlement arrangement. If the harassment continues, you can write a cease and desist letter which will obligate the collector to stop contacting you. If they do not stop calling you, keep a record of the calls and call us. If you do not owe the money, you must notify the debt collector of the error in writing and tell him to never contact you again. He must then stop contacting you and investigate your claim. If the harassment continues despite settling or disputing the debt, you may want to consider taking legal action. With the help of a consumer attorney, you can sue the collection agency for damages. Under federal law, you can receive up to $1,000 in statutory damages, legal fees, and whatever actual damages you can prove in court. As creditors and debt collectors can and probably will claim that they made an honest mistake (known as a bona fide error), you will need an experienced consumer attorney to counter their defense. In cases of extreme unjustified harassment, you may also be able to sue for invasion of privacy, defamation, or other criminal charges. Contact The Consumer Law Group, P.C. If you have questions about whether you are being harassed or how to take legal action against a debt collector or creditor, fill out the form on this page and we will get back to you shortly with answers. 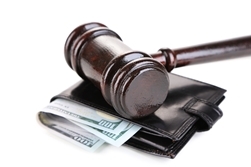 Which federal benefits are exempt from wage garnishment by debt collectors? If you are contacted by a creditor or debt-collector, it is very important that you notify the creditor, in writing, that you dispute the debt and request proof of the account. If the creditor decides to file a lawsuit against you, and you fail to appear to the first court date, a default judgment will get ordered against you and the creditor may start garnishment action. Your employer. If the creditor or debt collector orders garnishment of your wages, your employer will withhold part of your compensation and give it to the debt collector. Your bank. A garnishment order may also apply to any money you have in a savings or checking account. The bank will be directed to turn over funds from your account to the creditor. If you depend on any of these benefits, you can rest assured that they will not be redirected to pay off debt. However, federal benefits can be garnished in some cases to pay delinquent taxes, child support, alimony, and student loans. If you are the victim of unfair debt collection practices, you can take legal action. Tell us your story through the contact link on this page and we will get back to you. We are dedicated to protecting consumers’ rights. What are debt collectors not allowed to do when contacting a debtor? You probably didn’t intend to get behind in your payments, but now that debt collectors are contacting you, you are starting to feel like a criminal. Fortunately, the Federal Trade Commission (FTC) regulates what debt collectors can and cannot do to seek payment of debts. Under the Fair Debt Collection Practices Act, debt collectors are prohibited from using abusive, unfair, or deceptive tactics to get you to pay your debt. If you were the victim of any of these practices at the hands of a debt collector, you can take action against them. You should first report the abuse to the Consumer Financial Protection Bureau and to the Federal Trade Commission. You may also sue the debt collector for any damages you may have suffered as a result of his unfair practices. If you need assistance with pursuing a claim against a debt collector, contact The Consumer Law Group, P.C. Our experienced attorneys will guide you through the process to see that your rights are protected. How do payday lenders violate consumers’ rights? Many people seeking a loan from a short-term, high-interest lender do so because they are desperate. They may need to pay rent to avoid being evicted or pay a utility bill to prevent discontinuation of services. No matter what the reason, these consumers are entitled to the same protections as any other borrower under the Fair Debt Collection Practices Act (FDCPA). Unfortunately, payday lenders are notorious for violating this act when collecting on loans. 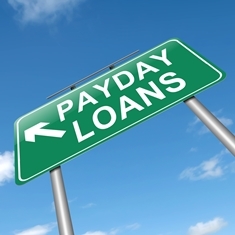 A payday loan is actually a cash advance secured by a personal check or paid by electronic funds transfer. The transaction works like this: the borrower writes a personal check to the lender for the amount he wants to borrow plus the fee he must pay. The lender gives the borrower the amount of the check, less the fee, and agrees to hold the personal check until the loan is due—usually on the borrower’s next payday. Some cash advance companies also offer an electronic option where funds are transferred into the borrower’s bank account and then withdrawn by the lender on the borrower’s payday. The cost of these transactions is very high, especially when the loans are extended or rolled-over beyond the initially agreed-upon due date. It is not unusual for a borrower to pay, for example, $60 in fees and interest to borrow $100. Even if desperate circumstances led you to take a payday loan and you are struggling to pay it back, you are still entitled to protections from abusive debt collection tactics. No lender, even a strip-mall cash advance company, is allowed to harass and threaten you in an attempt to collect a debt. Our best advice is to avoid borrowing from cash advance lenders altogether. However, if you’re already in debt to one of these companies, you can take legal action to stop the harassment and, if you can prove any other illegal practices on their part—such as failure to disclose loan costs and interest rates—you may be able to seek damages. Fill out the form on this page and let us know how a payday lender has violated your rights. We will let you know if you have a case. 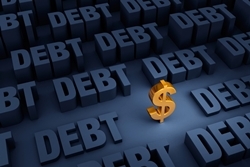 A Creditor is the company you have the original debt with. They are not subject to FDCPA. A debt collector is a company who is trying to collect a debt you owe to a Creditor. If they are harassing you, they can be in violation of the FDCPA. Can a debt collector garnish my wages or bank account? If you don't pay a debt, a debt collector generally can sue you to collect the money due. If they win, the court then enters a judgment against you. The judgment states the amount due and allows the collector to get a garnishment order against you, directing a third party, like your bank, to turn over funds from your account to pay the debt. Wage garnishment happens when you employer withholds part of your paycheck to pay your debts. Your wages usually can be garnished only as the result of a court order. Do not ignore a lawsuit summons!!! If you do, you lose the chance to fight a wage garnishment. Can a debt collector tell other people about my debt? A debt collector can contact other people only to find out contact information about you, for example: your address, home phone number or where you work. They are usually prohibited from contacting a third party more than once and they may not tell them they are trying to collect a debt. Generally a debt collector is not allowed to discuss your debt with anyone other than you and your spouse, and your attorney. If the debt collector has been told that you have an attorney representing you the debt collector must contact the attorney instead of you. How did debt collectors get my cell phone number? Have you been getting harassed by debt collectors calling your cell phone, but you don’t even know how they got your number? Oftentimes, a consumer will provide their cell phone number on the initial credit application. It’s easy to not remember every single thing that you provided on an application, and these invasive calls can be quite surprising. However, if you did not give the creditor your cell number on your application for credit, then they may not call you on your cell phone. For each time they call your cell phone you can recover up to $500 in damages, up to a maximum of $1500. There are places on the internet where you can research someone's cell phone number if you have their name and general area where they live. The most common way debt collectors get your cell number is when you call them back on your cell phone when you get a collection letter. They then "trap" your cell phone number. Save the record of the phone number that called to your cell. If you know how, you should also download the messages with a date and time stamp. Save any messages they leave you; they show who made the call and when, and sometimes the messages themselves will violate other laws against harassing phone calls. Save your cell phone bills that have the numbers of the company that called your cell. Finally, contact us. If you think a debt collector is harassing you, your family, or calling your neighbors or your workplace about a debt you owe, call us at 804-282-7900. We can help. Debt Collectors are calling my cell phone, what can I do? The answer depends on the situation. The Telephone Consumer Protection Act says that companies, including debt collectors and your creditors, can't call your cell with an auto-dialer and if they do there is a penalty of $500 - $1500..... And that's for each call! With the TCPA, the call does not have to be harassing. Any robo-call they make is against the law. Contact us if you think a debt collector is harassing you, your family, or calling your neighbors or at work about a debt you owe. If you have a personal loan, home mortgage or automobile loan, or you use credit cards, you are a debtor who owes money to a creditor. A debt collector is not the original creditor. It refers to anyone who regularly collects or tries to collect debts owed to others. What laws protect me from abusive debt collectors or harassment from a debt collector? The Fair Debt Collection Practices Act (FDCPA) protects consumers from deceptive, abusive and unfair debt collection practices. If you have copies of your credit reports, you will need those also. The credit reports contain the history of the debt, including the time it was incurred, when it was defaulted, and who may have collected it previously. If you have any notes about the debt or any taped conversations, threatening letters, or any communication whatsoever with the collector, these can be extremely valuable in reconstructing the collection efforts and any abuse. Whenever you are contacted by a collector, you should note the date, time, person you are speaking to and the content of the call including any abusive language or threats. If at all possible, you should keep these notes together in one central spot. Keep a piece of paper near your telephone so you can keep a log of when the debt collector contacts you. If you have any witnesses who can corroborate that you were abused, you should get a brief statement from that witness in their own words. These statements will help to refresh the witnesses' memories when you get to trial and provide information to your attorney. What are my rights if a debt collector contacts me? Federal and state laws give you rights against bill collector harassment. Collection agencies and debt collectors are required to provide you with a notice of your rights within 5 days of the first communication with you. You have the right to demand that a debt collector cease communication. You just have to write a letter setting forth your demand. (See our Cease & Desist Letter.) If you notify the collector that you refuse to pay the debt, that notice also serves as a cease communications notice. In either event, the debt collector may no longer communicate with you except to notify you that he is exercising specific rights. Debt collectors are prohibited from collecting debts that are not owed. You have the right to demand that the debt collector prove you owe the money. This process is known as "validation" of the debt. (See our Debt Validation Letter.) Debt collectors must notify you of this right, and if you request validation in writing within 30 days of receiving your notice of rights, the debt collector must either validate the debt to you or cease collection efforts. What should I do if I think a debt collector has violated the law? The Fair Debt Collection Practices Act (FDCPA) prohibits debt collectors (not creditors) from engaging in abusive, deceptive, and unfair practices. The FDCPA does not apply to your original creditor. It regulates only debt collectors’ conduct. Before we can fully evaluate your situation, and thus determine if you have a valid claim, we would like you to print off the worksheet attached titled “Fair Debt Questionnaire.” Please fill out the questionnaire and fax it or to us at 804-673-0316. If you feel like a debt collector has violated the law in reference to your situation, please fill out our Free Fair Debt Questionnaire. Yes. If a debt collector is trying to collect more than one debt from you, the debt collector must apply any payment you make to the debt you select. But, what is equally important, a debt collector may not apply a payment to a debt you don’t think you owe or to a debt that you dispute.